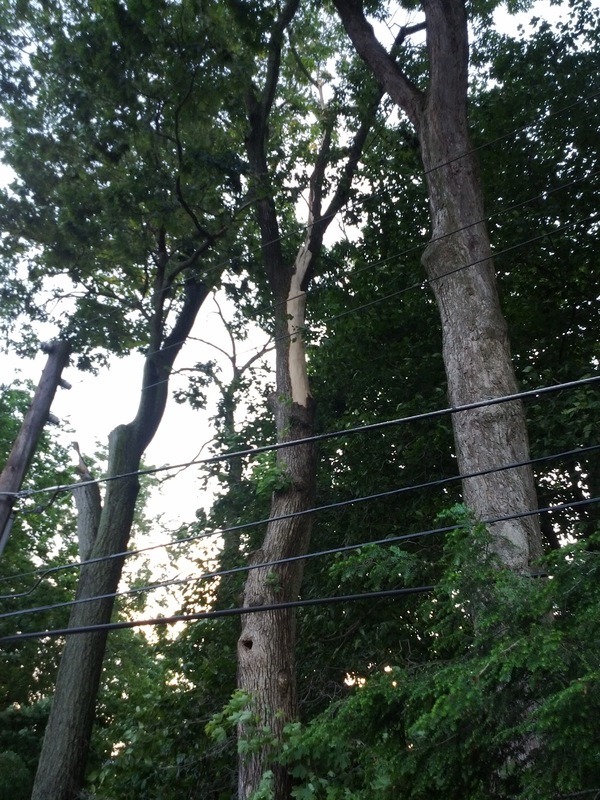 Last night we had storm that had struck Bucks County PA with a punch. Reports documented that there was wind damage and 1 inch hail. 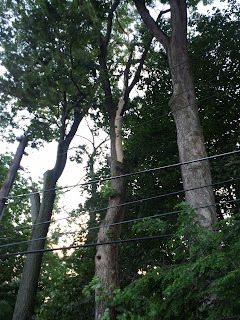 I received a message that there was a lightning strike that hit a tree in Buck County at about the same time where I was reading about flooding in Quakertown and hail in Chalfont. Later that evening just before sunset I went to Chalfont and took a few pictures. I called the Mt. Holly office at the National Weather Service, spoke with the meteorologist on call, and reported this storm damage event. I sent several pictures and one of them ended up on Mt. Holly's NWS Facebook page. by lightning in Chalfont (Bucks County). The bark and splintered branches scattered around 100 feet around the tree. Below is an animated Radar image from wunderground.com that shows the progress and strength of the storm.